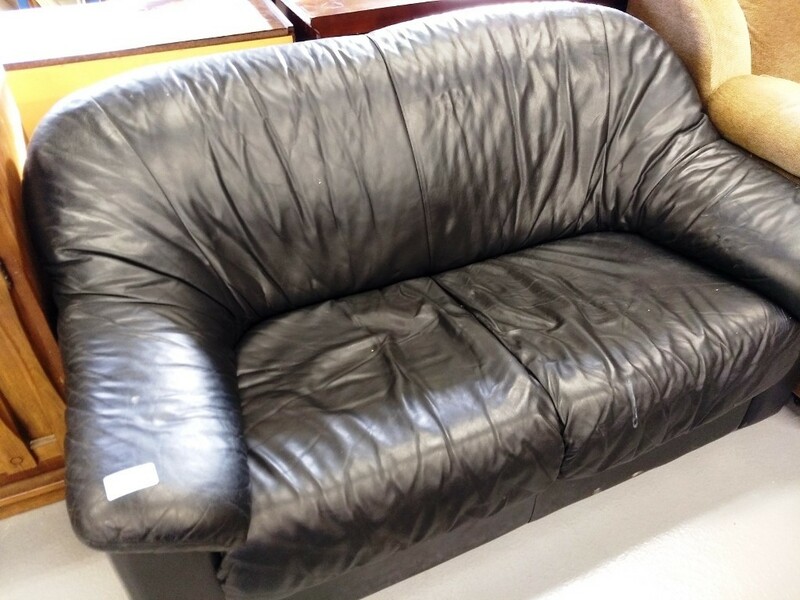 Black leather loveseat in decent condition, no tears or slits. Sits low and is very comfortable. Recommended for those with young legs given the low seating. Perfect for video gaming.